It's Disgusting--And We Ate It! : True Food Facts from Around the World--And Throughout History! 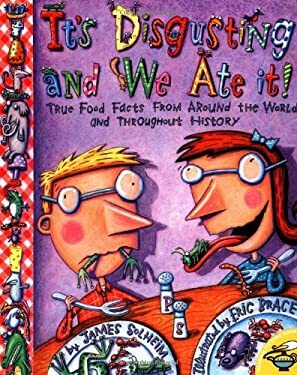 Zany cartoon illustrations add just the right amount of fun to this intriguing, stomach-turning collection of food lore. Includes a look at what are considered delicacies in other areas of the world, as well as little-known ingredients in some of kids' best loved snacks. Full-color illustrations.